Chief Justice Saqib Nisar has warned on Saturday that any person who would try to hinder the construction of dams will be tried for treason under Article 6. A two-judge bench headed by justice Nisar was hearing a suo moto case of mineral water companies using underground water. 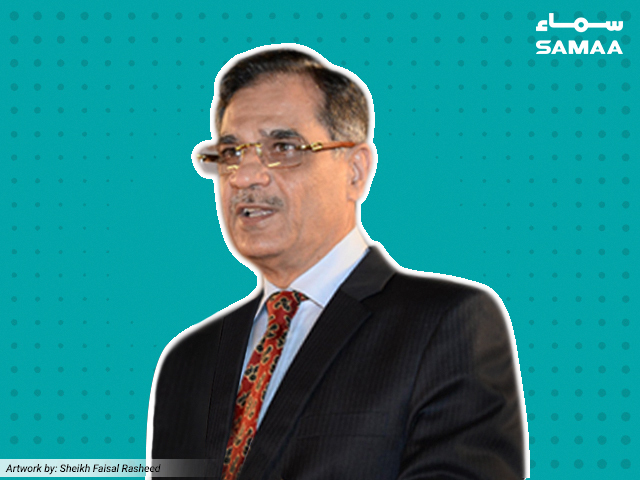 The chief justice remarked that he wouldn’t allow mineral water companies to steal the water. He asked the public prosecutor that how much money the mineral water companies pay per litre for extracting underground water. The prosecutor informed the court that the companies are paying the government Rs0.25/litre and selling it at Rs50/litre. The CJP told Barrister Aitzaz Ahsan, who was representing mineral water companies, to renegotiate a rate with the government for extracting water and inform the court.